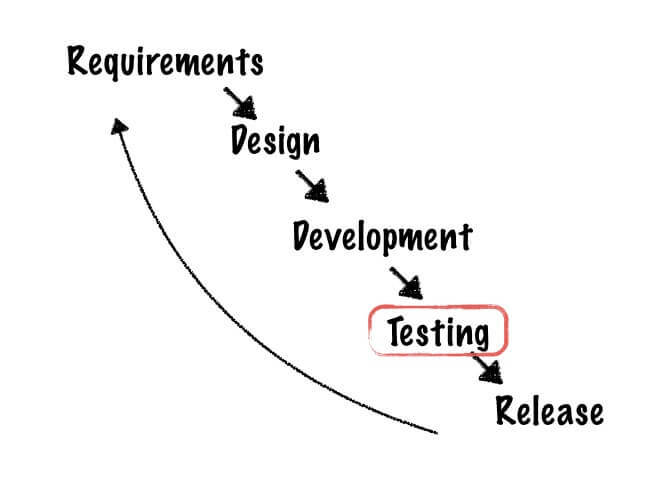 Why no one talks about agile testing. … or how to be the first one who gets going with agile testing. When working on digital projects and products, you probably encounter the term ‘agile‘ a lot. More than a Waterfall model. 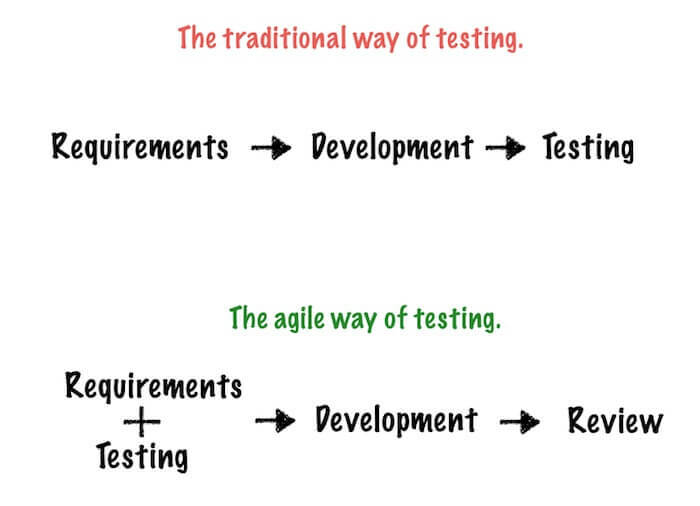 The difference of agile testing to the waterfall approach is that testing itself is not a separate project step. In contrast to the waterfall framework, agile testing requires continuous collaboration between all team members and stakeholders. Throughout the entire workflow, testing becomes an essential part of every project stage. 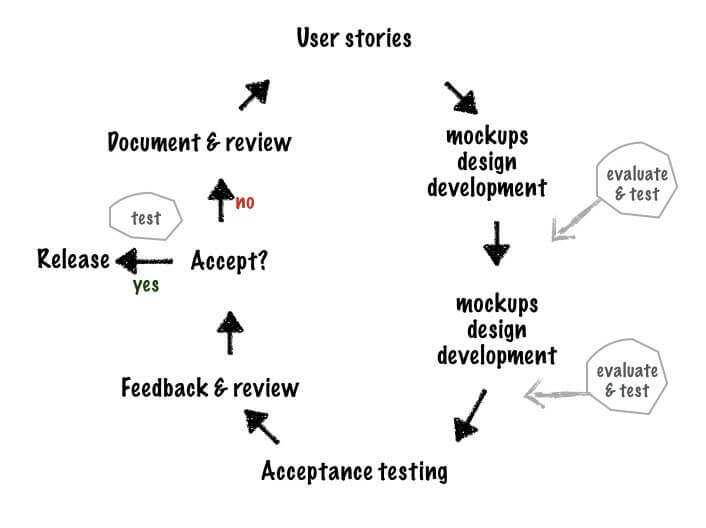 Agile QA: more than feedback & workflows. 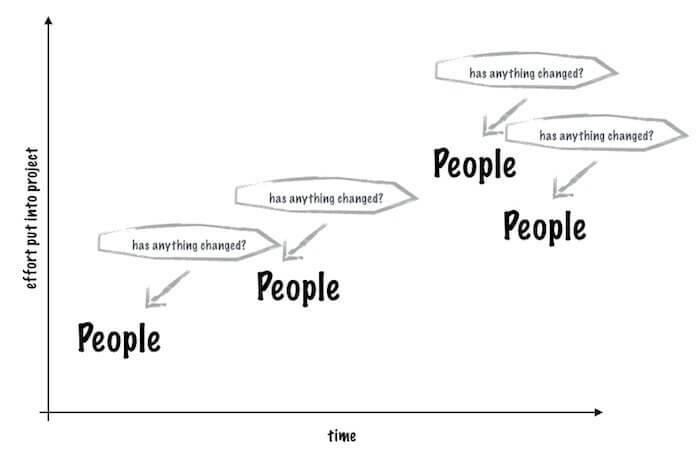 It’s not the workflow and continuous feedback which set agile teams apart. It’s the agile collaboration. In traditional projects, QA teams often serve “as the quality gatekeeper”. Testing should prevent any bad software going out into the public. This results in lengthy workflows and bug meetings where project team members argue about the priority of bugs. With continuous communication among project team members, stakeholders and end users, better relationships are established and more work can be done, with the team also being responsive and flexible enough to change project requirements.